Kathryn Jean Lopez, "Consider Accepting Pope Francis’s Invitation to a View of Human Creation in Full" (National Review, June 18, 2015). 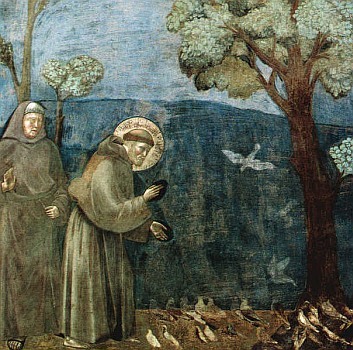 George Weigel, "The Pope’s Encyclical, at Heart, Is About Us, Not Trees and Snail Darters" (National Review, June 18, 2015). Austen Ivereigh, "Laudato Si': a landmark in modern church teaching that will shape a new future" (Catholic Voices Comment, June 17, 2015). Kathryn Jean Lopez, "Pope Francis does not settle science or replace politics but opens doors and hearts to the fullness of creation" (National Review, June 22, 2015). Maureen Mullarkey, "Where Did Pope Francis’s Extravagant Rant Come From?" (The Federalist, June 21, 2015). Augustinus, "The Holy See's New Alliances - I. Behind Laudato Si: Meet the Irish dissident who was one of the chief advisors behind this encylical - and what he said about its theology" (RC, July 14, 2015). But remember, when all is said and done, what is far more important than any encyclical, or sorting out the cacophony of voices vying to interpret it, is the zeal and joy with which you embrace your life as a Catholic. To know the Faith requires no more than a Penny Catechism; and if you know your Faith, you will know how to live it, love it, and serve our Lord Jesus Christ. When all is said an done, any man worth his salt will point out how embarrassing the pervasive herd mentality is, and how totally unnecessary as well as harmful to real Catholic faith it is in the long run. Dr. Leroy Huizenga, Ms. Kathryn Lopez, Mr. Mark Shea, Fr. Barron... the list is long, and the commentary is so wildly unaware of historical theology and so teenage in tone as to be depressing if not embarrassing. Is it wrong to point out the goofiness if they insist on publishing their goofiness? I include Francis in that.